Get Ready to Dance! Sweat! Groove! Move! to support of victims of Domestic Violence. This October, grab some friends and hit the dance floor! We’re going to Light Up the Night to raise awareness about domestic violence (DV) and this year we are teaming up with B96 to get the party started! We all know someone who has been impacted by DV whether it was a kid at our school, our aunt or friend at work. Since we’re all touched in some way, let’s all come together to be part of the solution. D4A is about coming together as a community to shed light on the topic of domestic violence and the resources available through the Crisis Center. Join the movement and Light Up the Night in honor of victims and survivors who have endured the darkness of abuse in their lives. Take a stand this October. Get involved and make a difference for someone in need of hope. 1…energy-pumping DJ keeping the party going all night! Admission for the event is $25. Dancers and team supporters who raise $175 or more in donations per dancer will receive an all-access pass to event dance floor for all 5 hours, two each of food and drink tickets, a D4A T-Shirt and goody bag, and a personalized online fundraising page. Proceeds from the event go toward services and education programs offered by CCSS. Donations are tax deductible. For those not raising funds, time on the dance floor can be purchased the night of the event. Food, beverages and concessions will also be available for purchase. Get Started! Meet Your Goal! Fundraising can be intimidating, but we believe you are up for the challenge! There are a lot of creative ways to raise money for the cause. Check out our 2017 D4A Fundraising Guide to give you tips, templates and ideas for reaching your fundraising goal. The biggest thing to remember is that you are not asking for yourself. You are asking others to give gifts of safety, strength and hope to victims and survivors of domestic violence. Tell people who you are helping and why it is important. The support you raise provides direct resources to men, women and children overcoming the impact of abuse in their lives. So relax and keep it simple. To learn more about domestic violence and the programs CCSS provides, click on the Get Help or Get Educated tabs at the top of this page. Show up on Saturday, October 14th and dance the night away! 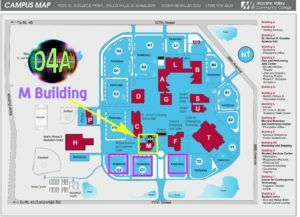 D4A is being held on the campus of Moraine Valley Community College (Palos Hills, IL) in the M Building Conference Center. 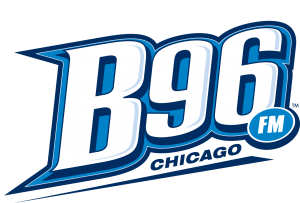 Nikki from B96 Midday, will be on site to get the party started. 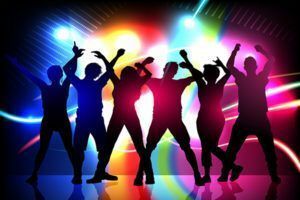 Entourage Mobile Entertainment will be spinning music that keeps you dancing all night long. Make sure to check out the food, raffles, and photo booth too! Former Chicago Police Officer, Samella Ramirez, will share her personal story with domestic violence and we'll take a few minutes to 'Light Up the Night' in honor of all of the victims and survivors that night. For more information please contact Kerri Twietmeyer at 708-429-7255 Ex. 136 or kerrit@crisisctr.org.